debbidebbu Dec 26 2018 5:17 am Amazing actor. He's like Endo Kenichi (my fav jdrama actor). Plays villains really well, but plays lovable really well too.... Hope to see him in more drama! yuna May 29 2018 9:45 am Somehow I watched all my boss my hero and my boss my teacher again. He was good looking and cute when he was young. Indeed, he always did a good job in playing villain, that's why people can't see him being good looking hero anymore. I guess we'll gonna see him playing villain forever. Wood May 27 2018 11:46 am He makes you hate him when he's give a "bad guy" role. By that you can tell he's one of the best! A very remarkable actor. Melissa May 22 2018 6:08 pm The best bad guy!! Noone get to question his acting ability!! Shinobi May 11 2018 3:40 am I really love Jung Woong-in's acting. He's so great with villain roles that he gets associated with those characters more often, however, seeing him play Prison Officer Paeng in Prison Playbook allowed me to see his gentler side and he did it perfectly (oh, how i wish he would be given more "good person" roles to play). Now he's back to his mean cruel character again as Geum Tae-woong and everything's a breeze for him. Truly a superb actor! Here's wishing him more roles to play and more acting recognitions to come. Good job, Jung Woong-in! Cheers! Kim che ran May 06 2018 10:58 pm Yang kamu lakuin itu JAHAT!!! Piggy Apr 26 2018 10:08 am I really really like his acting, when he acts as a villain he is such an evil. Awesome! The drama/movie comes alive with him. What a great actor! Lyra Mar 31 2018 11:27 pm Am a fan! What a gifted actor! Jherad Feb 26 2018 2:24 am A great actor that has so much potential. I enjoy all of his movies and looking forward to seeing him in the future. Fighting! Misstumbler Feb 18 2018 4:11 am I'm glad he casted in Prison playbook. I think he did an awesome job as liutenant Peung! I first noticed him in Can you hear my voice (as bad guy). And it seems like he get some bad guy's roles after that. So i'm really happy he acted as a good guy. Aja aja fighting handsome ahjussi!! kiki Jan 31 2018 11:06 am I just love this ahjusssi..
KIM SKY Jan 28 2018 11:01 am Brilliant actor. Loathed him in I can hear your voice and satisfied with his benevolent turn in the comedy Prison Playbook. These supporting actors are the real stars. Merryl Jan 02 2018 4:57 am he is playing a good guy! He is such a good actor! he is very effective as villain. Peter r Feb 19 2017 2:28 pm An actor for superlatives. Nice and amazing guy in ,,Last Scandal of My Life''. Wonderful actor in ,,Yong Pal". Unforgettable as MiSaeng in drama ,,Queen Seon Deok''. Great actor ; a big Star among Stars. Joseph Dec 26 2016 5:33 am A good bad guy I have ever seen in movies. Always dying as a traitor but with a smile as Misang in Queen Seon Duk and Yom Empress Ki. Her roles as a traitor shows how people make choices in life. Choosing to support Bidam for getting power in the future, and choosing to sacrifice Koryo personality for earning life in Yuan. Wish success to you, the greatest Yuan Commander! hhhhh! Remember that? myla Aug 30 2016 5:09 am great actor. at least we see his good side in monster. Aeiyah Feb 24 2016 2:05 pm Great actor. In every good drama, he's always there. If u want to see another side of him, u shud watch some episodes of running man where he appears as one of the guests. Stefano Sep 22 2015 1:52 pm I am wondering why they chose always you as traitor role?? How are you in the real life? ginali Jul 11 2015 6:45 pm I've watched him on I Can Hear Your Voice, and his acting is really amazing!!! I can't even stop hating him in that drama >..< and yeah I even forgot it was just a drama. But it's really is hillarious knowing that he also using the 'Min Joon-Gook' name even in Pinocchio with especially knowing it's also Lee Jong-Suk's drama :3 but you're such an excellent (antagonist) actor :D FIGHTING!!! Beverly Jun 23 2015 4:25 pm This guy is ubiquitous because he's really an excellent actor, especially in bad guy roles. MrMarvin2000 Jun 19 2015 11:22 pm His evil grin should be studied by every aspiring actor. Dawn Jun 09 2015 9:46 pm Great actor but being typecasted as the perpetual bad guy, which he plays very well. Bravo bad guy! 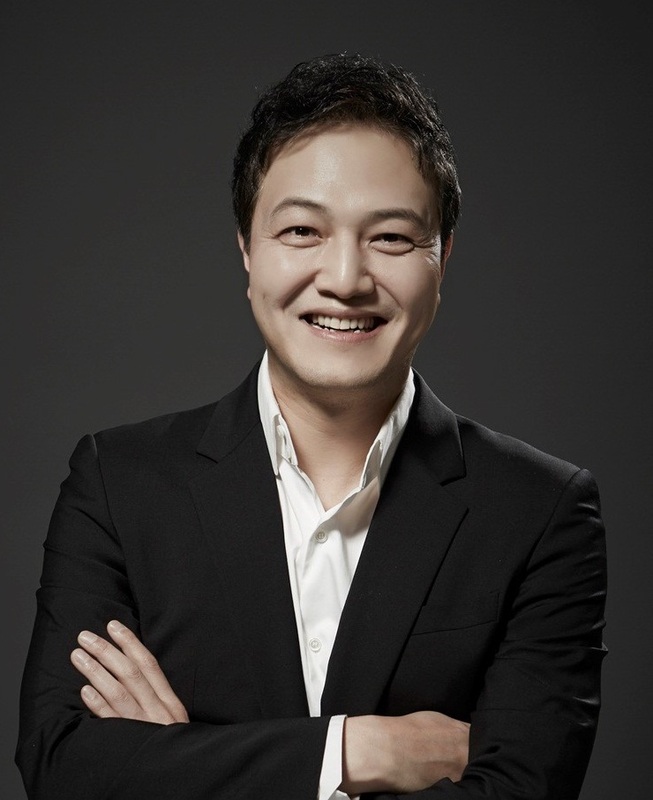 Panglu May 11 2015 12:09 pm Jung Woong-In is a very talented and powerful actor. He plays the antagonist far beyond anyone's expectations and makes the audience hate him. I love that he takes on the antagonist roles because that makes him all the more powerful and important in the film/drama. Love him. His/ Your fan from Mongolia Jun 06 2014 3:16 am I watched I (can) hear your voice just recently. And it was one of the best of best. I think it wouldn't have been so successful without you. I know you're a good actor and I hope you won't find this offensive-I really hated you at the first few episode haha I mean, you ROCK--- I even forgot you were a CHARACTER. Thank you. Dawn Oct 24 2013 12:18 am Even though he was the antagonist in IHYV, he was amazing to watch in Ojakgyo Brothers as the bumbling, confused and selfish elder brother. Mark of a good actor! Daebak! novita Aug 08 2013 9:55 am well done.. very good act.. kinda creepy me.. that showed ur a very talented actor... and indeed a nice smile.. congratulation! Yomama Aug 03 2013 4:07 pm He's an actor.He played a bad guy. Try to understand that IHYV was a story. If you believe Jung Woong In really is a bad guy, you probably also really think LJS can read minds. sadams Aug 02 2013 1:17 pm I did not like his character in I Hear Your Voice, but he is a very talented actor, he played his role very well. He did a great job of portraying Min Joon-Kook - Good job Jung Woong-In!! PurpleDemon Aug 01 2013 10:12 am when you watch an awesome actor, you do not realise that he was acting but you can feel his emotions. Jung Woong In is one awesome actor that everyone should respect! kristel Jul 29 2013 11:36 pm I'm so scared of him because of his role in I Can Hear Your Voice. I've never seen his other works but he's probably a good actor to give me chills when I watch him. Kmushbeauty Jul 03 2013 7:08 am I can't look at this guy without feeling sick to my stomach with disgust. I Hear Your Voice is by far one of my favourite dramas. A very emotionally powerful drama that leaves you sad, happy, sick, teary, remorseful, disgusted and yet so simply humorous at times. Resalynn Jun 27 2013 8:35 pm Must be a Good actor because I totally hate him in "I Hear Your Voice".! A bit scary though Jun 16 2013 3:17 am I watched his other dramas and he was pretty good But when I started watching "I hear your voice"
iRouge Jun 01 2013 10:02 pm He is a very talented actor, I watched him in QSD. Although he was one of the bad guys, he played his role well. Gasenadi Mar 16 2012 6:24 pm Saw him in Coffee House, where his character made me cringe. Saw him again in QSD, the conniving brother of the super-villain, Mishil. So, I was relieved, and pleasantly surprised, at his interpretation of the older brother in Last Scandal. Finally, a character I could sympathize with, a "good guy" yet not one-dimensional, at all. So glad to see his versatility and range. Saludos desde Puerto Rico. ju Jan 03 2012 7:58 pm Too bad he;s not more popular....probably just because he;s no hearthrob :sigh: He should get cast in more prime-time dramas; he's a really talented actor and also one that is a genuine one, since he majored in arts. Nice smile, too. Min-ah Aug 08 2010 1:42 pm I loved your voice in QSD!!! margaretha Feb 15 2010 3:04 am good act..i really heat you...!! !